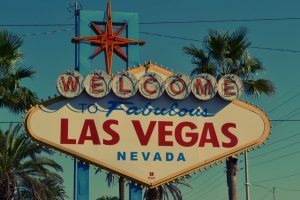 Despite Bitcoin being around for nearly a decade and finding great use as a payment method in online casinos, the casino capital of the world – Nevada’s Sin City – has been slower to adopt the cryptocurrency. Due to the lack of regulation from the Nevada Gaming Control Board and the Department of Taxation, major resorts in Las Vegas aren’t able to implement Bitcoin in their casino cashiers. However, this doesn’t mean that Bitcoin isn’t finding its way into the Las Vegas gambling scene as small-time casinos and entertainment venues of the Strip begin to adopt it. One of the first casinos in Vegas to give hope to all Bitcoin gamblers is the D Las Vegas – a casino hotel in downtown Las Vegas located near the South LV Boulevard in the vicinity of the Golden Nugget Casino. Although a smaller resort with “only” 629 rooms, the D Las Vegas nevertheless can play a big role in cryptocurrency adoption. The D Las Vegas has a two-floor casino that offers some of the best video poker machines in town and its owner – Derek Stevens – was one of the first casino owners to become a Bitcoin believer. According to the Las Vegas Review Journal, Stevens first started hearing about Bitcoin four years ago from employees in the tech industry who mingled at bar of his casino. After investigating Bitcoin, the casino owner then decided to turn the privately-owned small hotel/casino into one of the first entertainment venues in Vegas that accept the coin. Currently, the casino allows visitors to pay for their hotel accommodation, meals, and gift shop gifts with Bitcoin, but Stevens has also installed an ATM on the gaming floor that allows gamblers to swap their Bitcoins for dollars to buy chips at the cashier. According to Stevens, the decision to install an ATM and start taking Bitcoin didn’t attract the type of tech-industry workers that introduced him to Bitcoin. Instead, what the small venue saw was an increase in international travelers who preferred to use the cryptocurrency for its cross-border practicality and speed. Reportedly, with Bitcoin’s price increases, the D Las Vegas also saw plenty of Bitcoin users spending on more expensive meals and wine at its restaurant, thus adding a “meaningful” boost to the revenue of the casino. However, for the time being, he doesn’t plan on increasing his ATM daily withdrawal limit of $5,000 since he isn’t certain whether Bitcoin users are big-enough gamblers. But while the D Las Vegas is profiting on its Bitcoin adoption, other major players on the scene don’t seem to be interested in the cryptocurrency. Apart from Golden Gate Casino, which also reportedly accepts Bitcoin for room and meal payments, big companies like MGM Resorts, Wynn Resorts, Caesars, and the Las Vegas Sands Corp. are not showing any initiative towards implementing the cryptocurrency. Yet, while the casinos stay away from it, other businesses increasingly adopt it. Namely, thanks to demand from shoppers, many shops and entertainment venues are considering taking payments in Bitcoin. It’s already making its way into the Shops at Crystals on the Strip through the Elena Bulatova Gallery, the Legends Room gentleman’s club, as well as other venues on or close to the Las Vegas Strip, with more new businesses looking into it. But until local legislation changes, gamblers would either have to swap their coins while in Las Vegas or instead spend them at Bitcoin online casinos.